Understanding the behavior and organization of molecules at the nanoscale is essential to further advances in many areas of technology. 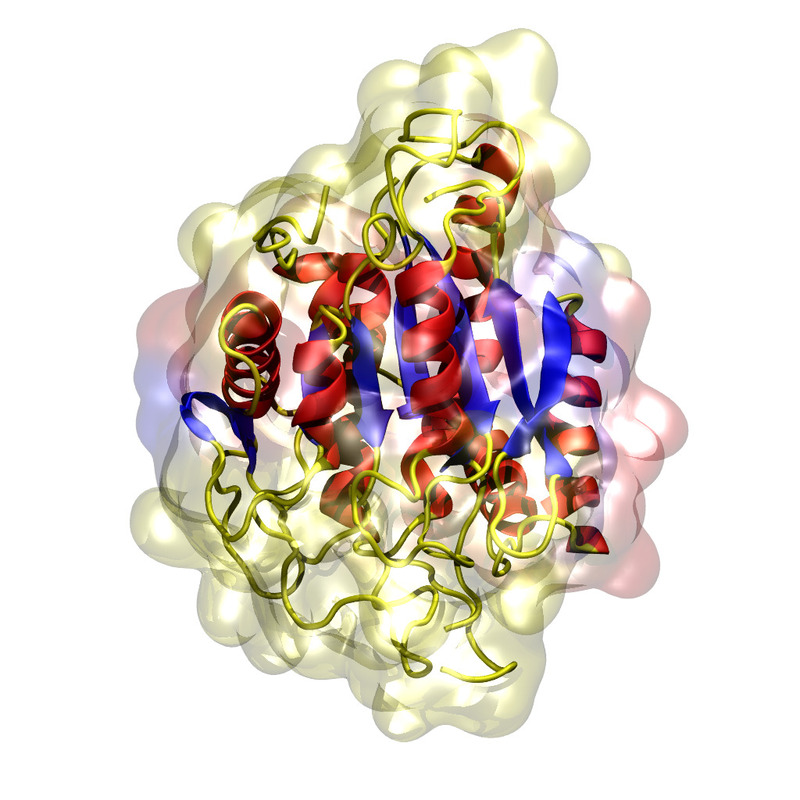 Molecular simulations provide the atomic-level detail necessary to obtain this understanding. I use molecular dynamics simulations to gain insight into a range of systems, including responsive polymer surfaces, shale gas reservoirs, organic LEDs and solar cells, protein folding, and cell membranes. Predicting the morphology of organic semiconductor thin films at an atomic level. 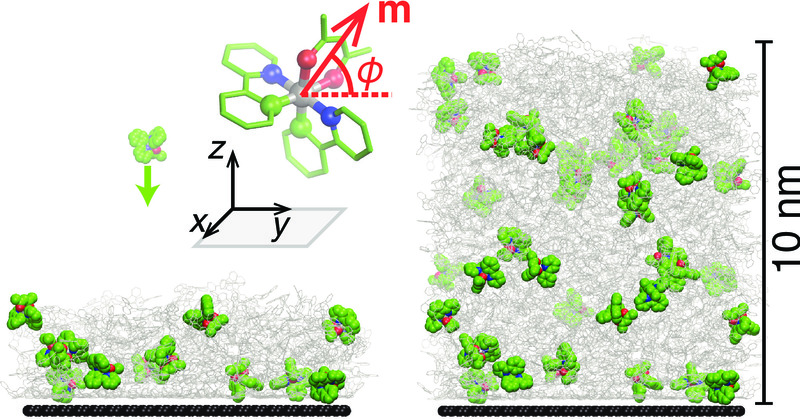 Atomistic nonequilibrium molecular dynamics simulations have been used to model the induction of molecular orientation anisotropy within the emission layer of an organic light-emitting diode (OLED) formed by vapor deposition. Two emitter species were compared: racemic fac-tris(2-phenylpyridine)iridium(III) (Ir(ppy)3) and trans-bis(2-phenylpyridine)(acetylacetonate)iridium(III) (Ir(ppy)2(acac)). The simulations indicate that this difference is not due to differences in the extent of emitter alignment, but rather differences in the direction of the transition dipoles within the two complexes. Existing fluid transport frameworks struggle to describe hydrocarbon recovery from unconventional shale gas reservoirs due to the nanoporosity and extremely low permeability of shale. 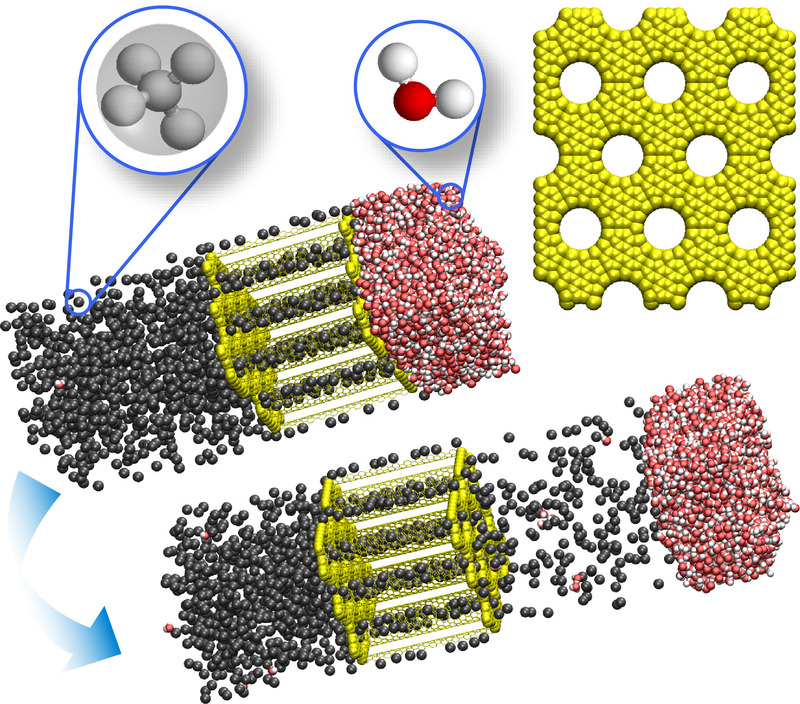 We reported molecular dynamics simulations showing that methane recovery from a hydrophobic nanoporous membrane is a thermally activated process in the presence of water at the external surface. The increase in interfacial free energy as water is displaced by hydrocarbon results in an energy barrier. We use a simple thermodynamic model describing the critical hydrocarbon nucleus to build a statistical model of the long-time kinetics of gas recovery that explains rapid and variable declines in shale gas production. The simulations also suggest that supercritical carbon dioxide could be used to both enhance the producivity of shale gas wells and reduce wastewater. © 2018 Thomas Lee · Powered by the Academic theme for Hugo.